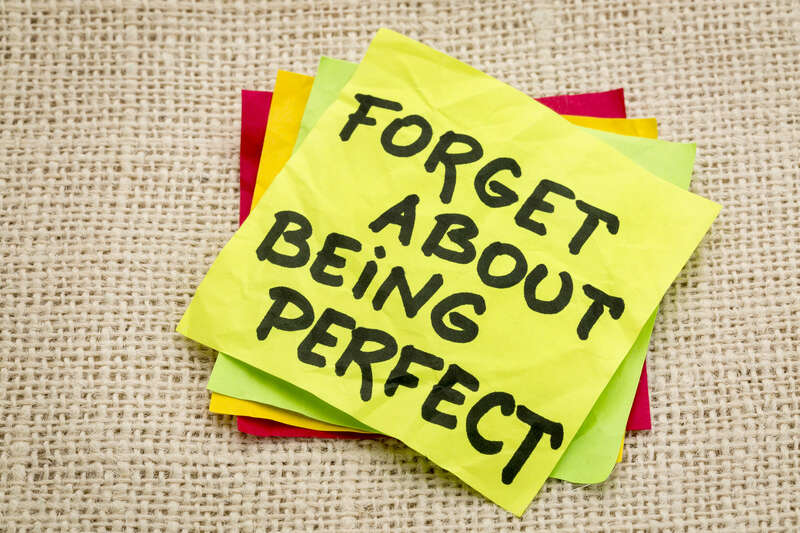 Here’s the thing… I’ll answer the question, “Can I be perfect?” right up front. It is impossible to be perfect. You can’t be perfect. Your mom can’t be perfect. Your kid can’t be perfect. Your husband, wife, lover can’t be perfect. Your dog can’t be perfect. The weather can’t be perfect. Perfect is impossible. Let me say that again. Perfect is impossible. Yes. Maybe you scored a 100% on an exam back in your school days… but that doesn’t mean you were perfect. It meant only that you knew the answers the instructor asked on that particular day. I don’t mean to burst your bubble and I want to let you off the hook. If I can, I’d like to save you from another day of striving for a goal you’ll never attain. The chase is frustrating, devastating, maddening, and ultimately heartbreaking. When you ask Can I be perfect? First, try to define perfect. 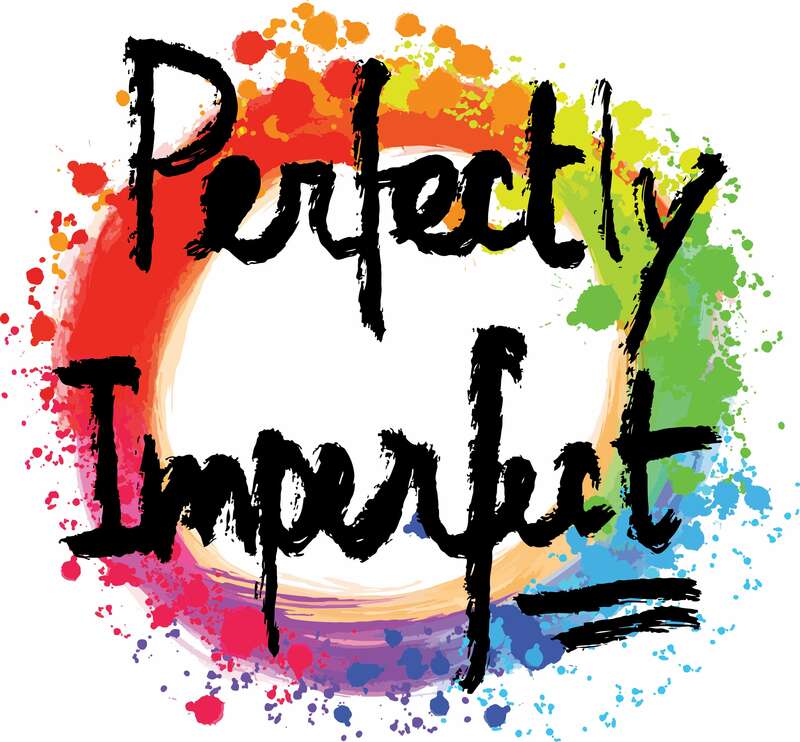 What does perfect really mean to you? If you’re really honest, when you imagine a standard for perfect, don’t you just change that standard when you see the result of whatever you are doing or being? Don’t you always find the imperfection that could have been better, no matter how good it is. I know that was true for me and I regularly and painfully watch my clients do it to themselves all the time. It’s never enough. When have you ever actually achieved perfect? Is there one time that you can identify in your life where you actually felt like you were perfect? Beyond the initial infatuation stage of a new relationship, have you ever found someone else to be absolutely perfect? Yet, do you continue to strive for this unattainable ideal? Do you still expect others to live up to your impossibly high standards? So, I invite you to stop asking the question, “Can I be perfect?” and start asking, “How can I be me?” If there is anything that comes close to perfect, it’s actually you. You WITH all your flaws, you with all your imperfections, all your needs, all your grumpiness, all your dreams, hopes, wishes, and desires, are perfect. Divinely perfect. You need not do anything to be divinely perfect. You do not need to change a thing. NOTHING needs to change. You simply ARE perfect. Perfectly you… and that is the most loveable thing in the world. 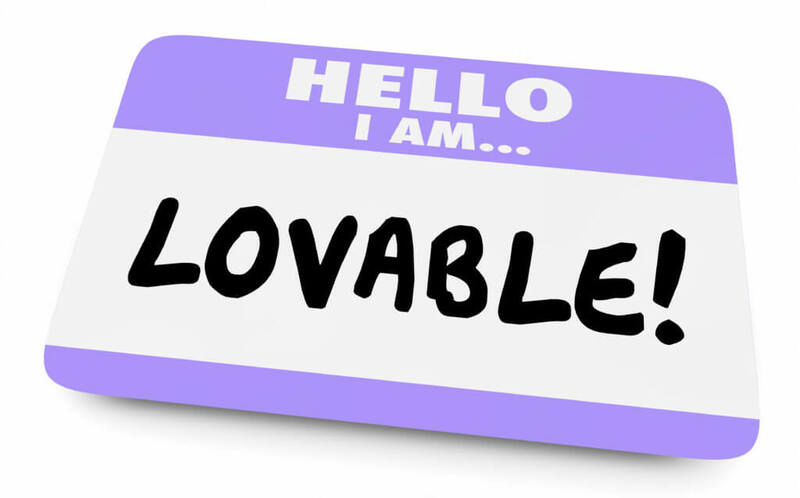 Yes, I am too am the most lovable… and so is your brother and your neighbor and your lover. It is the authentic, unmasked, messy, amazing you, that someone falls in love with. Soul love is not falling in love with your greatness. It’s falling in love with your humanness. When you stop looking for, when you stop striving for perfect… then and only then can you find true love, soul love. When you let yourself be fully seen and loved in all that you are and all that you’re not, you’ve discovered what Ecstatic Authenticity really means and you’re ready for Ecstatic Intimacy. 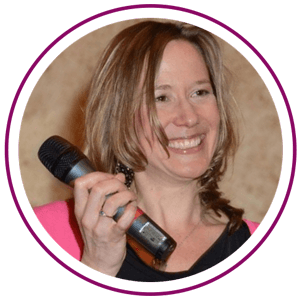 For more insights on loving you… check out my other articles Embracing You: Self Love is the Source of Soulmate Love or Are You Being See or Are You Hiding?